Nearly every day for the past few years, students arriving at Staples High and Westport’s 2 middle schools have been welcomed by “Happy Birthday” signs. Parents rent them — and choose an appropriate character or theme — on their kids’ big days. The idea came from a group of parents. At a tough time — following the suicides of a Staples teacher and student — they want our kids to know how much they are cared for. They didn’t have to pay. Critter Cards — the company that supplies the birthday billboards — donated them. It’s a small gesture. But the smiles this week — from students and staff members alike — have been big. Earlier today, Westport police were called to Temple Israel. Preliminary reports say there were concerns about 1 or 2 people with weapons. Apparently, none were found. The temple was the site today of a “Friends of the Israel Defense Forces Women’s Luncheon.” IDF officers — including an Israeli Air Force captain — were to discuss the roles of women in that country’s military. It appears that 1 or 2 people planned to disrupt the event. Nearby Coleytown Middle School was locked down as a precaution. This afternoon our school was in lockdown for 45 minutes at the request of the Westport Police Department for an external threat at Temple Israel. All ended well and our students returned to Homeroom where they were given an opportunity to debrief and ask questions. We thank the Westport Police Department for its immediate reaction and concern for the safety of all our children. In April 1995, online providers like CompuServe and Delphi charged by the hour, and by modem speed. So it took a tragedy like the Oklahoma City bombing — on April 19, 1995 — for Westport realtor Mary Palmieri Gai to spend time on the fledgling internet. 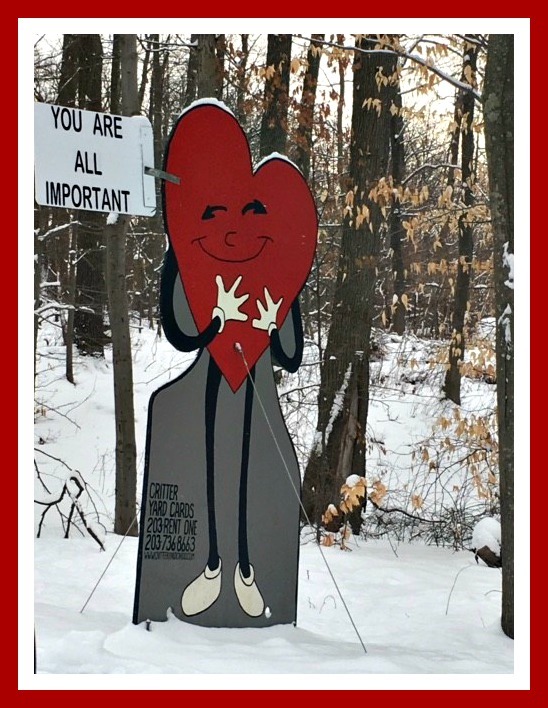 She felt compelled to see what other people were thinking, and find emotional support. Many in the Oklahoma City area flocked online too. Students in particular were very afraid. Suddenly, Mary had an idea: bring together local youngsters, and those 1500 miles away. Her daughter Melissa helped facilitate an important, human connection, through the computers at Coleytown Middle School. Coleytown Company’s production will not be like most middle schools. For one thing, this is Westport. We do things — particularly arts and kids things — in high-powered ways. That’s Adam Riegler. 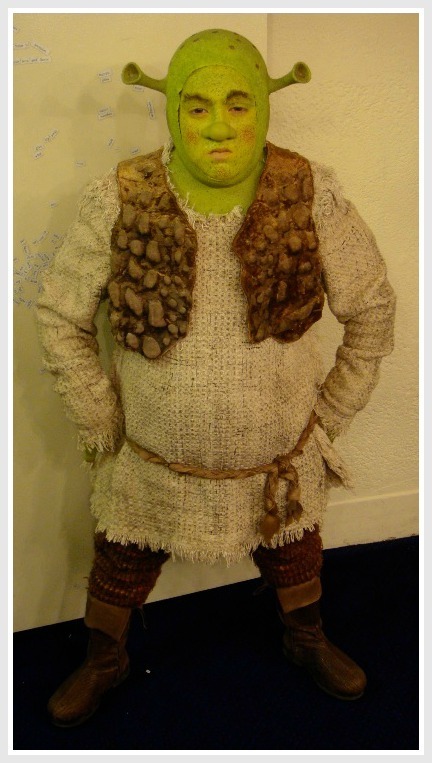 A Staples sophomore, he spent nearly a year playing Young Shrek. 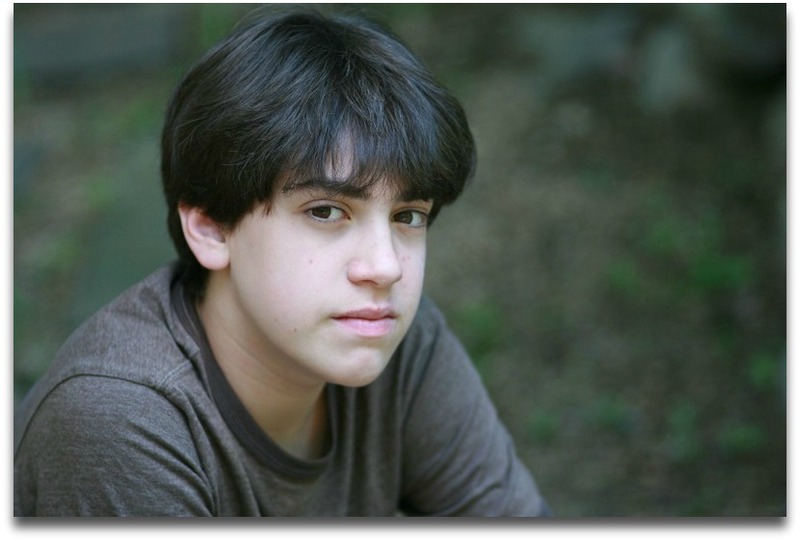 Adam Riegler, aka Young Shrek. But right now, Adam is playing a new role: assistant director. He brings a deep knowledge of “Shrek” to Coleytown. For a year before its December, 2008 opening Adam was involved in its workshops. He saw what it takes to get a show off the ground. He dealt with writers and directors, and worked with accomplished professionals. He performed in “Shrek”‘s out-of-town tryouts, then made his Broadway debut. All along, he watched and learned. Are the Coleytown Company actors impressed with his Broadway resume? So what’s his next role? He may take Staples Players director David Roth’s directing course in the fall. Following the path blazed by Staples High, Westport’s middle schools’ robotics team snagged 2 first-place medals at last weekend’s First Lego League state championship, held at Central Connecticut State University. They also picked up cash, from the Institute of Electrical and Electronics Engineers. The boys — yes, unfortunately, they’re all male — topped nearly 200 teams to win both the Robotics Performance and Robotics Programming categories. There’s one more intriguing element to this story. Despite Westport’s now-global reputation in high school robotics — Staples’ team has won a world championship — there is no high school robotics course. There’s no corporate sponsorship of the club (which itself does not even have formal status). 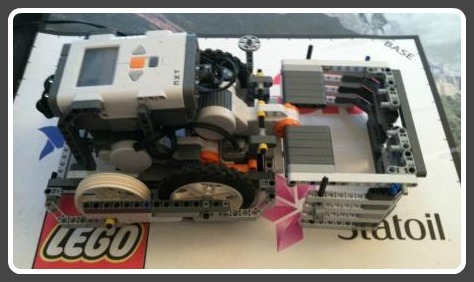 The Middle School Robotics Club — now in its 2nd year — marks the first formal school system support of the activity. The 1st-place team is called the Mechanical Masterminds. Members include Coleytown 7th graders Nick Ambrose, Rob Diorio, Nicholas Durkin, John McNab, Daniel Westphal, Josh Zhang and Andy Zhang, and Coleytown 7th grader Justin Schmidt and 8th grader Sunil Green. 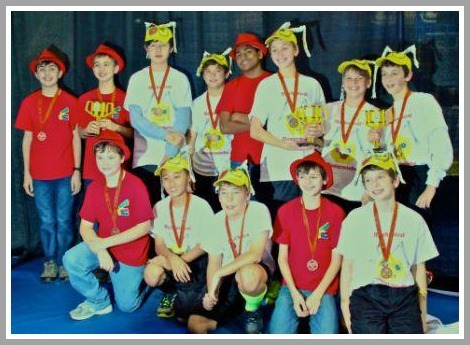 A 2nd Westport middle school group — Team SNAP — took home the 2nd place Champions Award. They’re completely independent. Members include Coleytown students Theo Davis, Dan Kleine, Nathanael Metke, Kiran Nandagopal and Luke Sauer. The coach is Terry Sauer. Congratulations to all the young champions. And their robots, too. The Masterminds and SNAP robotics teams. Plenty of time and energy has been invested in re-imagining downtown Westport — deciding what’s needed to inject a little life in the ol’ place. There’s been much talk too about the importance of developing Westport students’ critical thinking, 21st-century skills. Downtown Westport has gotten a bit grungy lately. The twain met today at Coleytown Middle School. Five teams of 8th-grade students — winnowed down from a few dozen who began the project — presented their plans for making downtown both prettier and zippier. Analytical thinking — not to mention a great grasp of history, government, finance, town planning, the environment, Google Earth, Photoshop, Excel, writing, video-making and presentation skills — was on full display in the auditorium. Mini-golf and a full-sized basketball court (near the Imperial Avenue lot). Those are great ideas. Some are easily doable; some would take work; a few are probably impractical. All, however, show a depth of understanding and sense of community not often associated with 8th graders. Now let’s start working on the best ones. Hire the Coleytown kids as consultants. The boardwalk by the Saugatuck River is nice. But when was the last time you used it? Back in the day, if you entered a contest to win tickets to see your favorite singer — Frank Sinatra, say, or Paul Anka or Bobby Sherman — you sent in a dozen postcards, crossed your fingers, and hoped for the best. Of course, you never won. Win this boy for some Westport girls. Today Michael Jackson and Rick Springfield have been replaced by Justin Bieber. And if you want to win a nationwide contest to see Usher (and the world’s) favorite 16-year-old Canadian — or at least his new movie — you have to make a video that everyone and her sister votes on. Alexa Davis, Kendall Rochlin, Emma Boland, Colby Kranz and Olivia Lev have done just that. The 8th graders want to win tickets to the premiere of “Never Say Never,” which apparently will be to 2011 what “A Hard Day’s Night” was to 1964. According to Alexa’s mother Lee, the girls are in 1st place, neck and neck with a bunch of Floridians. What’s as impressive as their chance to actually win, Lee says, is the video the 13-year-olds created. With quick cuts, fast forwards and a clever cardboard cutout of Justin himself, it’s as professional as any music video I’ve seen. (Not that I watch a lot of them.) (Or listen to pop music). The Westport girls' Justin Bieber video (and their Justin Bieber cutout). If they win the contest, the girls promise to give some of their tickets to the Boys and Girls Club. The most clicks win — so click here, play the video, then pass the link on. What else are you going to do on a snowy day? Listen to Justin Bieber tunes?